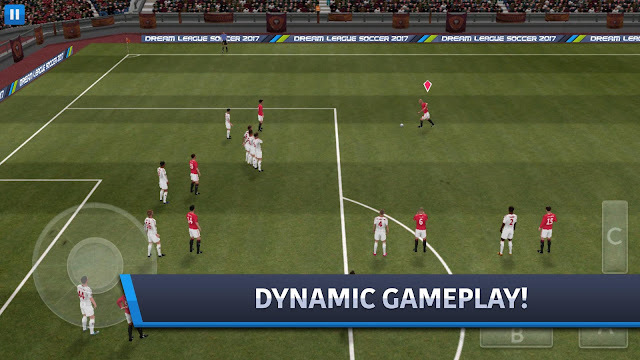 First Touch Games has finally released Dream League Soccer 2018 for android devices. Dream League Soccer is one of the most enjoyed football game on android and me myself, I’ve really enjoyed the game play. This Dream League Soccer 2018 come with a lot of features different from the previous ones of previous years. This game can be compared to top football games like Pro Evolution Soccer and FIFA games. The latest Dream league soccer 2018 provides you with the opportunity to develop your team and lead them to victory in a fictional league where all the top teams in Europe and around the world actually compete. It features an updated team and player profile. Over 7 cup competitions to participate in. Feature 6 division on your road to the top. Ability to create and manage your team. New Multiple player feature which allows you connect and play with friends. >>STORAGE ==> 500MB internal storage space minimum. >>OS ==> 4.1 and above. >>Launch and enjoy the game. I have been hearing about this so call name dream league the game go make sense b that. this game go make sense. But no android sport games is suposed to be compired to pes 2017 because it has alot of graphics and background and the music still love it up till today. Although it is a 2017’s game , the graphics of the game are mediocre compared to other soccer games such as FIFA. But even though it is an enjoyable game and you can have fun playing it against your friends.